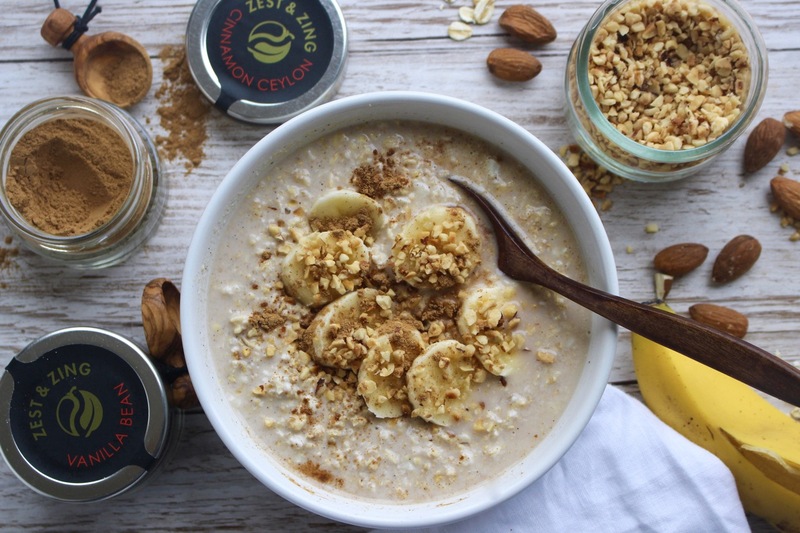 I love starting my day with oats - they're so filling, they release energy slowly throughout the morning to help you feel your best and they're amazingly good for us with their high fibre content, the fact they can help to lower cholesterol and they're a source of copper, zinc and vitamin B1. I mixed in chopped nuts and cashew butter for some healthy fats which will help us absorb additional fat-soluble nutrients (such as vitamins A, D, E & K) and they've also be shown to help boost your mood. There's also bit of pure maple syrup in there for natural sweetness! Try making this recipe on a Sunday evening for some meal-prep breakfast for the new few days.